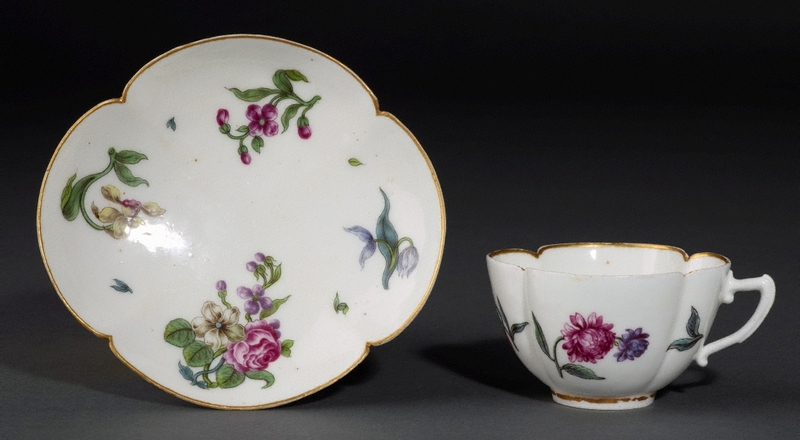 The four-lobed design derives from a Meissen model. The fact that the rim is gilded implies a date in or after 1748. The flower painting is of a style also deriving from Meissen which was used at Vincennes only in its early years. Imperfections in the form of dark specks in the paste are also evidence of a relatively early date.